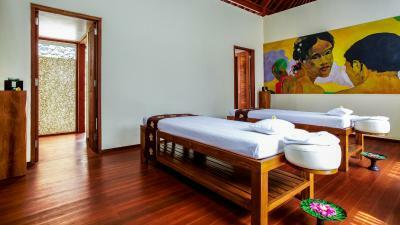 Lock in a great price for Qunci Villas Hotel - rated 9.3 by recent guests. 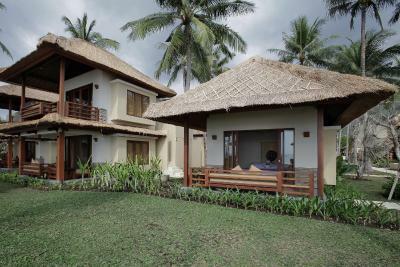 Quinci Villas is a no-brainer if you are in Lombok for rest/looking for calm/chilling. Personnel were just awesome : I got sick and have been hospitalized. They suggested I could extend my stay for a lower fee, keeping my room, and helped me with complimentary chauffeur to and from the hospital. The restaurants are nice, service was impeccable. 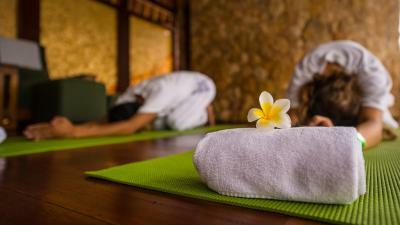 It is a quiet place with personnel doing all they can for you to enjoy your stay and relieve the stress. 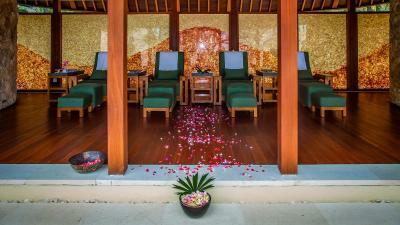 Beautiful beach-side spa resort set in lush surroundings with fantastic facilities. Staff were great throughout and the 3 pools beautiful. 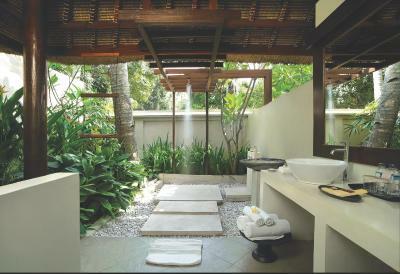 Loved the room design (partial sea view) with its outdoor shower. Extremely comfortable bed was fantastic. 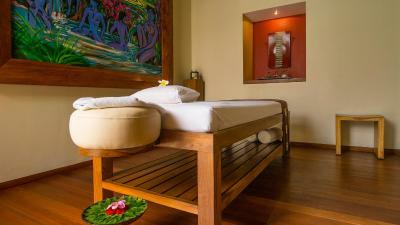 Relaxed Ambience, extremely friendly staff, terrific floor to guest ratio. Gorgeous pools with a beautiful outlook. 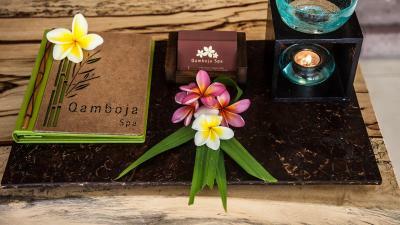 The staff were friendly & very accommodating. Food was excellent. Staff were very friendly and helpful. Everything was very clean. Facilities were very good. Location is beautiful. Fantastic staff and beautiful location. 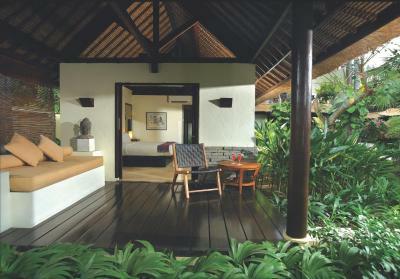 Rooms are very spacious. 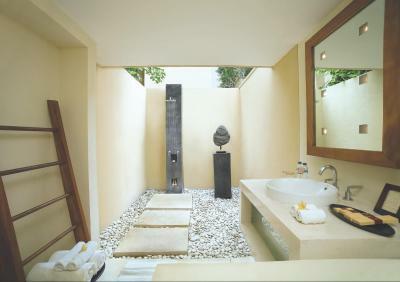 Lovely simple outdoor bathroom. 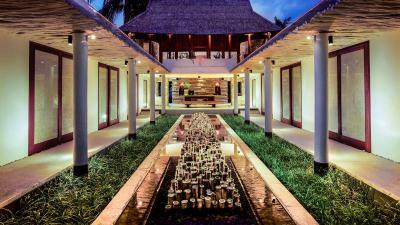 It is not a luxury property but it provides everything in a simple and stylish way. 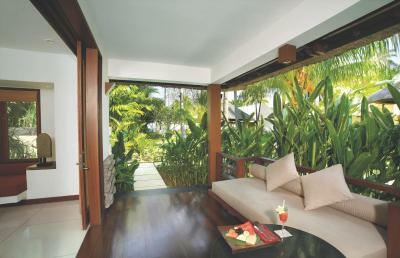 The swimming pools are gorgeous with infinity views. the breakfast which was included is spectacular - both in choice and in quality - the best I have had anywhere. The staff were especially helpful and smiling. They helped us organise our further trip and came up with both great suggestions for alternative restaurants and market prizes for souvenirs. 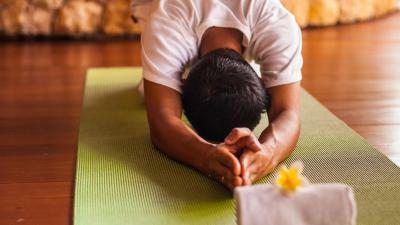 Both me and my husband had a lovely massage at the hotel and the breakfirst as well as the room service were excellent. I would definitely go back another time. Amazing hotel, beautiful location. 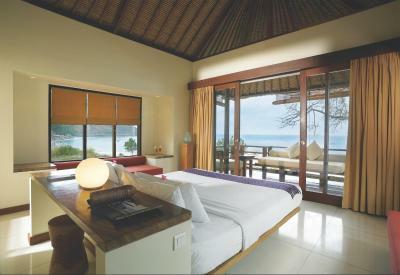 The room was really nice, with sea views and you can hear the sea. The restaurant food is really good, and the breakfast one of the best I had in Indonesia, the offer is huge and the quality is excellent. Friendly staff really polite. 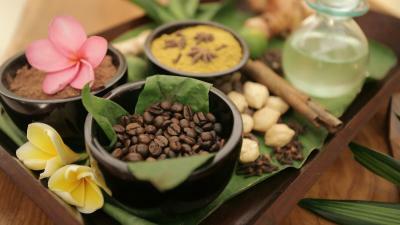 The spa service and offer is also really good. The beach is really good , you can snorkel and is clean. Perfect place to relax and forget everything and I have to say that we didn’t see any earthquake signals in the area, only going to Gili island is where you see the villages quite affected but the people are really happy to see tourist and they can’t wait to see the people coming back to enjoy this amazing island. 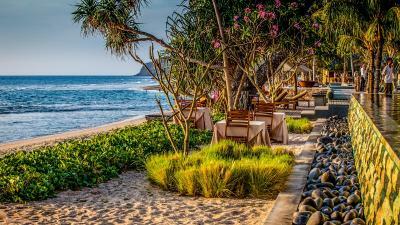 One of our top picks in Senggigi .Qunci Villas Hotel is set in the peaceful and tranquil location on Lombok Island, about 21.7 miles off Bali. 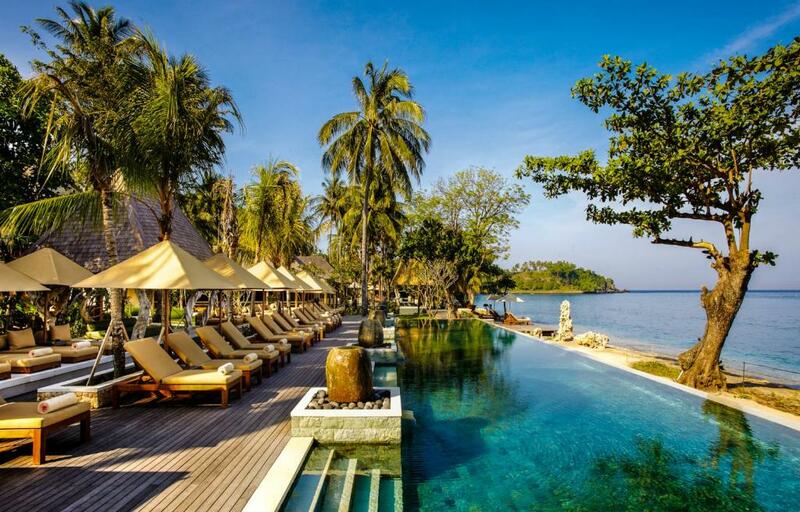 Directly on Mangsit Beach, this tropical hotel features a spa and 3 outdoor pools. 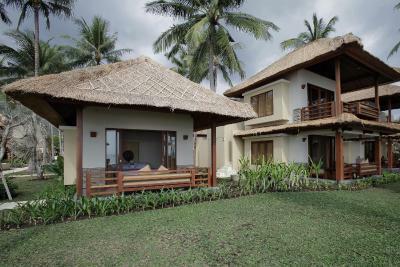 It is a 5-minute drive from Sengigi Beach. 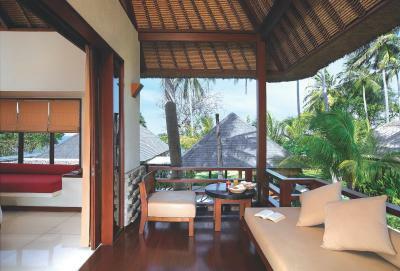 From Bali, it is a 20-minute domestic flight to Lombok Island, followed by a 90-minute drive to Qunci Villas. 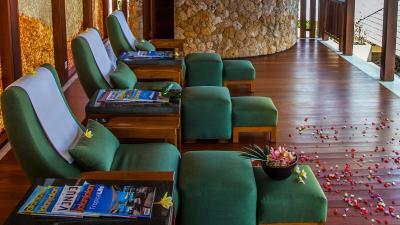 For island-hopping and snorkelling, guests can rent a boat just in front of the hotel. 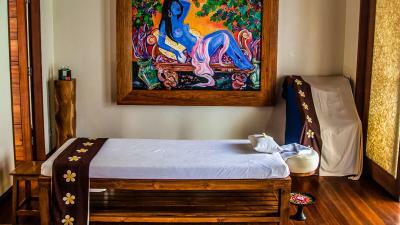 Guests can enjoy body treatments at Qambodja Spa, or browse items in the Qul-Qul Gallery. 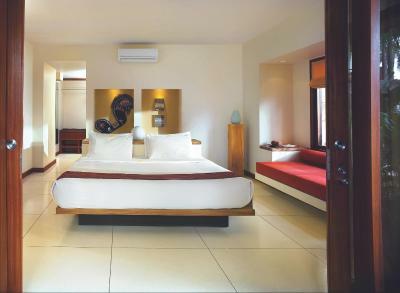 The hotel provides car rental, currency exchange, and laundry services. Free Wi-Fi is available in public areas. 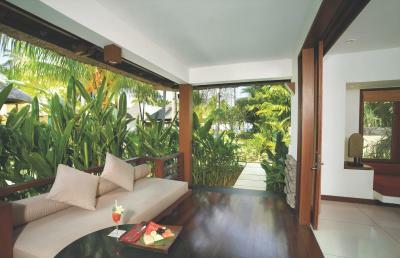 Surrounded by gardens, rooms have tea/coffee making facilities and patios or balconies with a seating area. 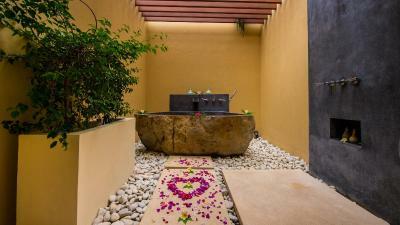 Each room has a garden bathroom with shower facilities. 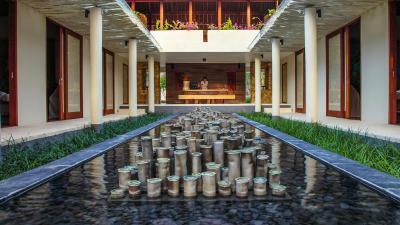 Dining options include Asian specialities at Quali restaurant, Itialian fine dining at Quah restaurant and Nooq Tapas Bar. 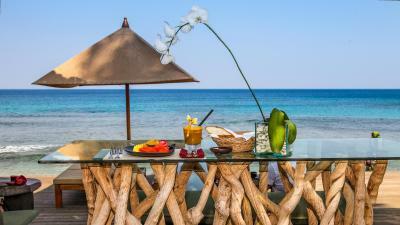 Meals can also be served on the beach. 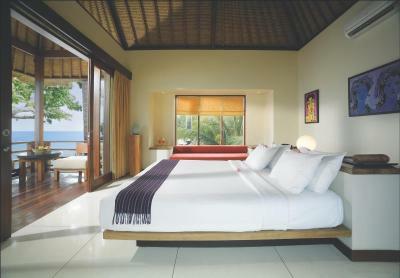 Qunci Villas Hotel has been welcoming Booking.com guests since 23 Sept 2011. 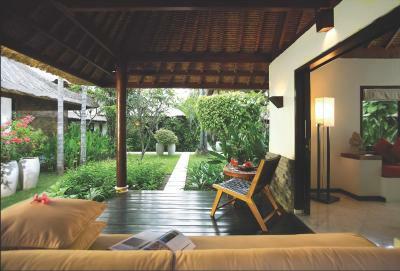 When would you like to stay at Qunci Villas Hotel? 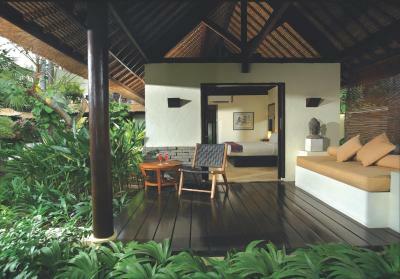 Rooms have tea/coffee making facilities and patios or balconies with a seating area. 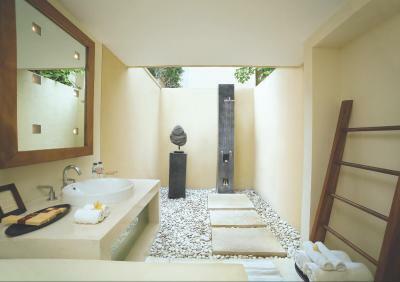 Each room has a garden bathroom with shower facilities. 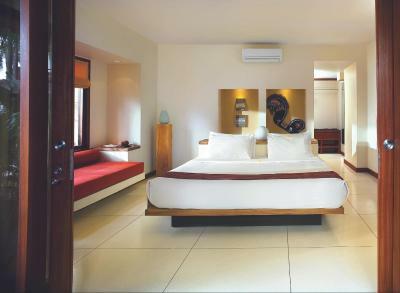 Offering sea views, rooms have tea/coffee making facilities and patios or balconies with a seating area. 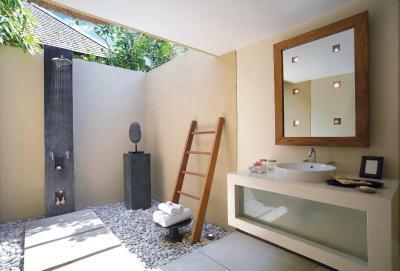 Each room has a garden bathroom with shower facilities. 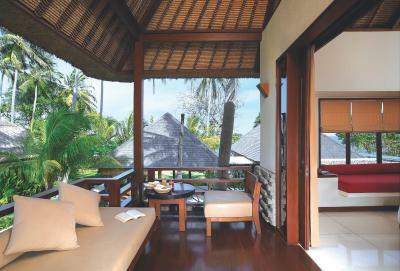 This villa has a balcony, private entrance and bathrobe. 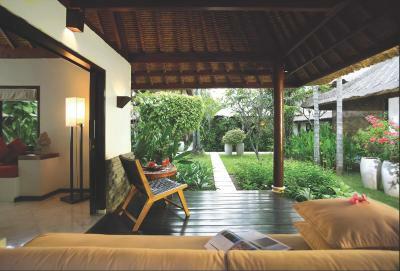 House rules Qunci Villas Hotel takes special requests - add in the next step! 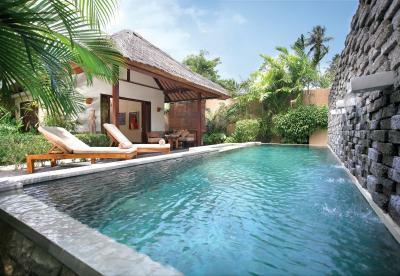 Qunci Villas Hotel accepts these cards and reserves the right to temporarily hold an amount prior to arrival. Nothing. However, there could be improvement on the service for drinks/food at the main pool. We had to chase for a host to take our order. Everything else was fantastic. AC in room no.52 was barely working. It could do with some renovating as the floor tiles are badly marked and the curtains are a bit on the thin side letting light in at night time. We also had issues with both the air conditioning and the wifi but both were fixed upon request. Bed and pillows were quite hard. WiFi was very slow in the room. 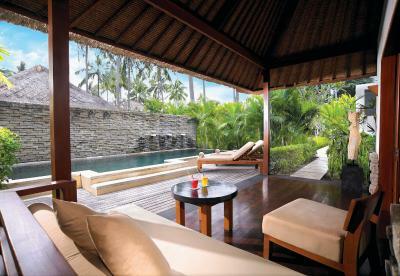 Often had to try to find staff to order food and drink by the pool. Shower did not function properly. Nearby Mosque was very loud at 4.30am each morning. My mother had an amazing time at your hotel’ Thank you so much for taking care of her and my cousin. I shall visit you guys when I come from dubai. Room service for dinner is awful, the outdoor loos and showers are heaving with mosquitoes, caterpillars and large ants. We asked to move rooms to an indoor toilet but apparently there were none. 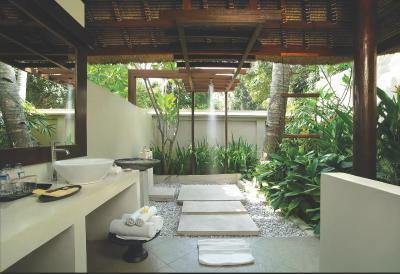 Because of the outdoor showers the room is filled with mosquitoes and I got bitten numerous times due to this in a malaria prone place. The pool and restaurant staff are lovely. The staff at the front desk did not accomodate to our needs whatsoever. The wifi across the whole property does not work whatsoever. It is extremely limited and cuts out often. Some days we didn’t get small towels for hands. There's a mosque quite close, you get used to it but some people might find it quite loud at 4 am. 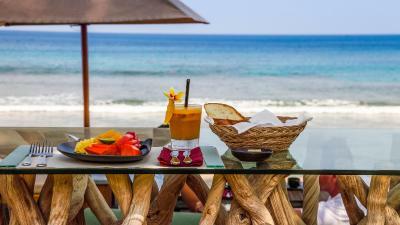 Breakfasts are amazing, as is the food at the restaurants. 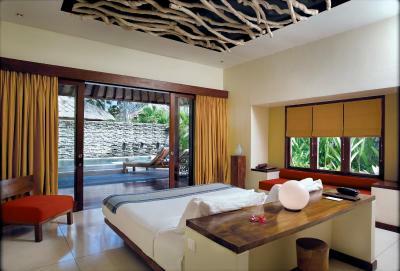 Stayed for our honeymoon and could not speak more highly of the Qunci and it’s staff, excellent experience. 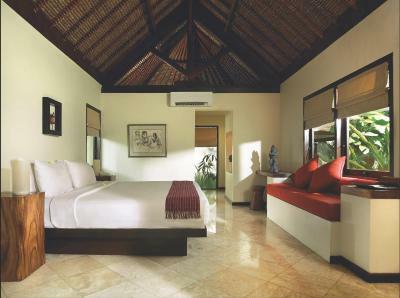 No mosquitoes and turn down service in a big room, choices at breakfast, infinity pools, hotel personnel and it was super clean.